We are living in the golden age of tattoo research. With more than 20 tattoo museums open to the public in the United States, and more books being published on the subject than ever before, there seems to be a real interest in preserving our history. One of the more obscure pieces of tattoo history to come across our desks lately is information on the Roberts Company. 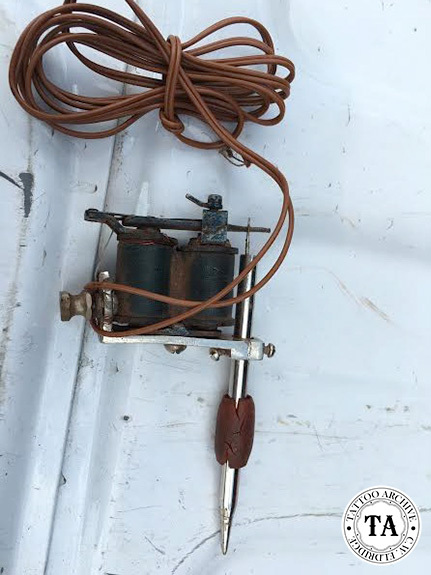 Thanks to Clint Vaught who has kindly shared photographs of a machine and other items from this company, we now have a bigger picture of this tattoo supply company and their offerings. The Roberts Company was located in Buffalo, New York at #635 West Avenue. Being a residential address this was likely a home-based business. Advertisements for the Roberts Company appeared in publication like Police Gazette and Billboard as early as 1916. 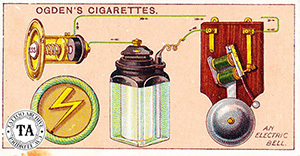 At this time the advertisements read, “Tattooing Outfits, $1 up, hand and electric.” These appeared alongside supply advertisements for well-established tattooist/suppliers like Harry Lawson, Walker-Fowkes and Charlie Wagner. 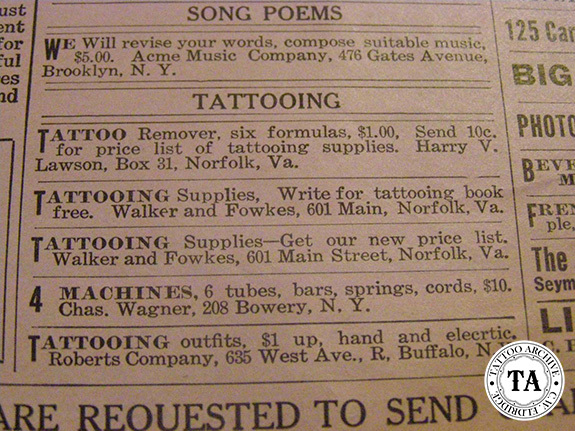 We have never seen a catalog from the Roberts Company but a few years ago a price list for their supplies appeared on the Bristol Tattoo Club site. That list included the usual items: watercolor supplies, stencils, connector cords, needles and a foot button. Yes, that’s right! A foot button selling for seventy five cents! Clint also sent us a photograph of a well-worn sheet of directions. This was pretty much standard fare of do’s and don’ts that most suppliers included with the machines they sold. Although there were a couple of interesting pointers on this directions sheet, such as, “outline from the top to bottom-do not allow the needle to enter the flesh-simply prick the skin-try not to draw blood,” this along with the “foot button” item on their price list makes me think that whomever was in charge at the Roberts Company was not a working tattooist. This is never clearer than when you look at the Roberts machine in Vaught’s collection. This machine looks like a cross between a conventional tattoo machine frame and a doorbell. Perhaps the Roberts Company struck a deal with another tattoo supplier and bought their broken, bent, and miss-drilled frames. Then they cut the top part off the frame leaving just the connectors, frame bottom and tube vice and bolted the doorbell coils with the top end onto the frame bottom, thus creating a rather crude looking machine. Few of these machines have survived and it’s unclear how successful the Roberts Company was with their enterprise.